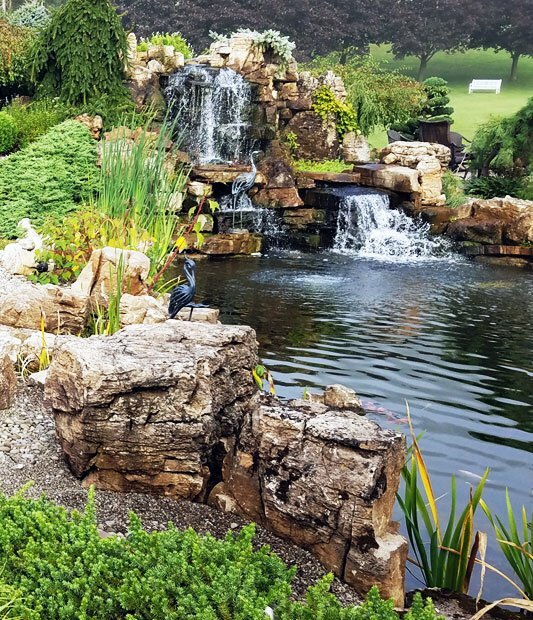 National Pond Service is a professional pond, water garden and water features installation, management and maintenance company serving residential and commercial clients for over 20 years. 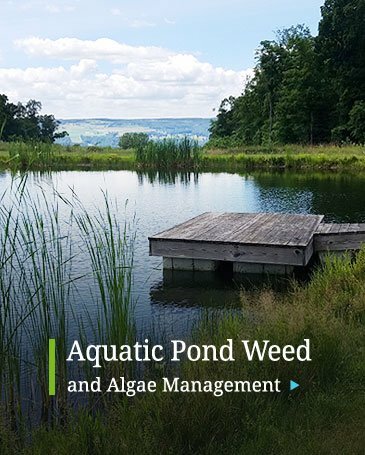 Our pond care and maintenance services include algae and aquatic weed control, fountain and aeration services, pond construction and repair, fish surveying and stocking, shoreline and ecosystem maintenance, and nuisance waterfowl control. Please see our complete list of services for more information. National Pond Service has been the trusted source for residential, commercial, and agricultural pond design, installation, and maintenance for over 20 years. We specialize in the design and creation of ponds of all sizes, as well as water gardens and water features for home and commercial properties. National Pond Service offers comprehensive pond design, installation, maintenance and repair services to clients across the United States including non-chemical water treatment, pond maintenance and repair services, leak detection and repair, pond aeration, aquatic plants and pond fish, algae treatment, and water feature renovation. Our custom pond design and installation services use water feature products for both residential and commercial applications designed to give years of trouble-free service. We are proud to serve homeowners, commercial developments, apartment and condominium properties, homeowner associations, golf courses, providing design, installation, maintenance and repair services for public and privately owned ponds of all sizes. 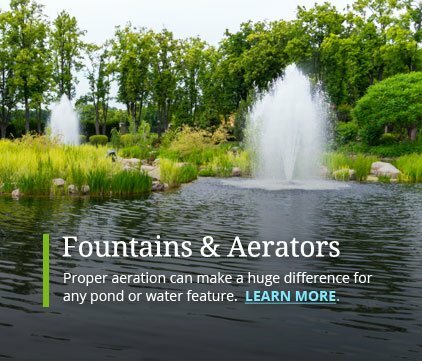 National Pond Service has designed and installed countless water gardens and water features for residential and commercial customers alike, as well as Home Owners Associations. We love designing, installing and maintaining new and existing water gardens. 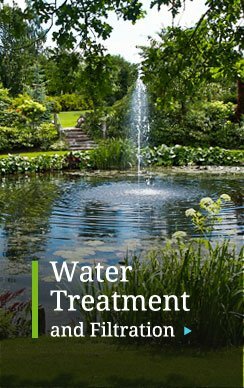 We can upgrade or repair your existing water features, as well as help you maintain a healthy aquatic ecosystem. We specialize in designing and installing uniquely beautiful water features. Whether you want to create a custom designed western style or an asian themed water garden, our water garden and water features experts can design and install koi ponds and water gardens in a wide range of sizes with one-of-a-kind fountains, pondless waterfalls, and streams to fit your budget and help you create your own relaxing getaway space. 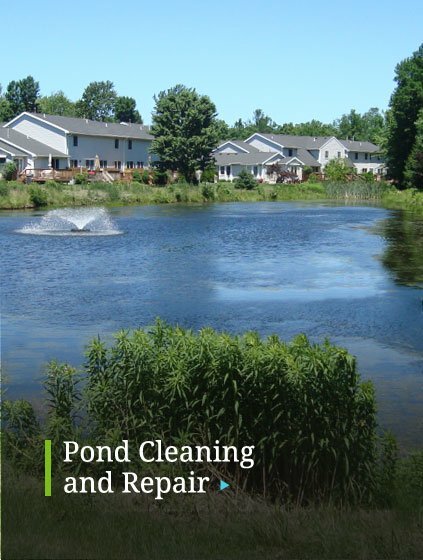 Our comprehensive, nationwide professional pond maintenance and pond cleaning services can help you get the most out of your pond while avoiding costly and unforeseen future repairs.